A furnace draft inducer blower is a relatively new component of modern furnaces that became part of heating units after government-mandated efficiency standards were enacted. The draft inducer blower's purpose is to move air and gases out of the furnace and up through the chimney. This component determines how much and how fast air will move through the heat exchange unit. Although variations occur, a typical draft inducer blower is located in the gas burner compartment of a furnace and consists of a motor-driven wheel assembly or fan, an electrical box for power connections and a metal sleeve surrounding the assembly. Variables include size of vent pipe diameter, voltage, amperage, wattage, horsepower and size of the cutout needed for the unit. Draft inducer blower components are made of durable plastics and metals, or a combination of both. Polypropylene is used to manufacture industrial draft inducer blowers used in corrosive environments because this plastic resists corrosion better than other materials and will never delaminate. Fiberglass is also used when the component must withstand temperatures above 220 degrees Fahrenheit. Blower size is determined by the size of the unit in which it is located. As the furnace enters start-up mode, the draft inducer blower begins to purge the heat exchanger of gases that may have remained in that area during the furnace's previous heating cycle. This makes the air in the area cleaner at the time of combustion and also prevents furnace burners from becoming clogged with soot. By improving the quality of air moving through the furnace, the draft inducer blower helps improve efficiency of the system. When a furnace begins a new cycle, the draft inducer blower fan begins whirring 30 to 60 seconds before the furnace burners actually ignite. The fan motor must also run properly and usually has a safety pressure switch connected to the fan housing. Pressure switches ensure the motor is running according to the manufacturers' specifications. 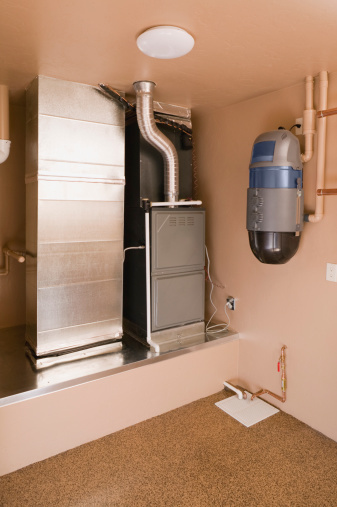 If the inducer fan motor cannot turn on, the furnace will generally shut off and lock out. 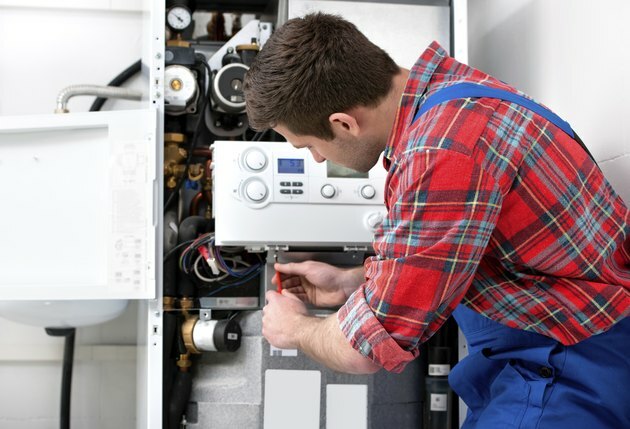 Other reasons why the draft inducer blower may ultimately shut down a furnace include a faulty pressure switch, a bad rubber tube component, or there may be a blockage in the gas vent flue, or even that the blower itself may not be working properly. Because many draft inducer blower models are nearly impossible to rebuild, an entirely new unit must be purchased in most cases when one wears out. The exceptions to this rule, according to Furnace Parks USA, are units manufactured by Carrier and Bryant. Why Does my Lawn Mower Engine Stall When it Gets Hot?